I used to introduce you all about Juice Beauty, one of 5 organic beauty brands, and how fascinating it is toward your glamour in the post before. 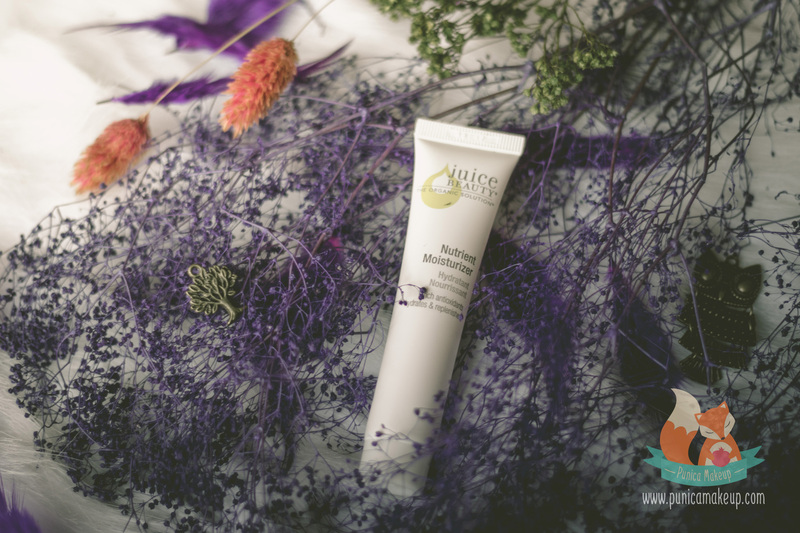 Juice Beauty is masterminded by a California team passionate about healthy lifestyles with the production of natural, organic skincare and makeup. I’ve searched lots of information as well as collected random opinions about its’ products. I was surely curious about its’ Nutrient Moisturizer so I decided to take it home with me. I’m really thrilled now can’t wait to share with my dollies how incredible it is when I enjoy every single moment that I take care of my delicate skin with it. Shall we start? 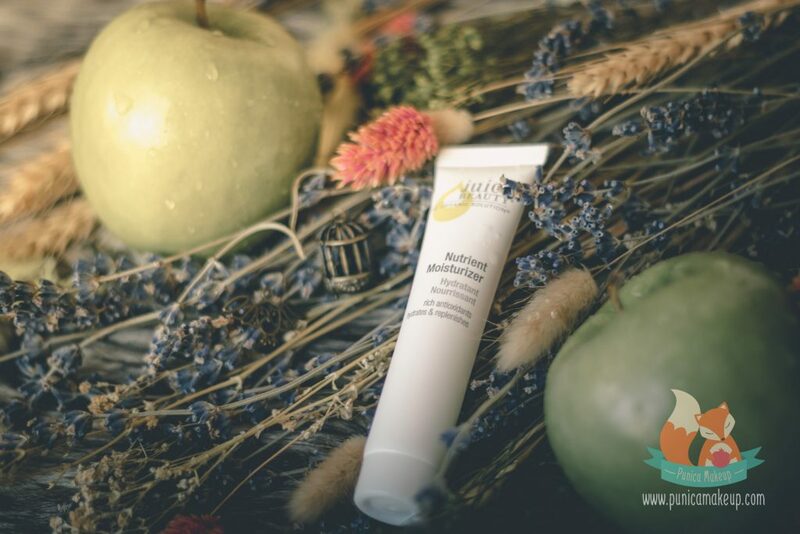 It’s ingredients are all organic extracts, like grape juice, aloe leaf juice, jojoba oil, shea butter, carrot root and botanicals of primrose, borage and linseed. Moreover, it emphasizes there is no utilization of any harmful chemicals or artificial substances. When seeing these lines of description, it sounds really catchy and interesting to me. The product ensures an extensive range of beauty treatments. Moisturize and replenish skin with natural vitamins, minerals and antioxidants, all of which excellently diminish aging signs and improve skin complexion. Then, it’s supposed to be really really gentle and safe for skin, especially delicate ones. I have a type of sensitive, extremely dry skin that easily gets redness. To be honest, I had to switch up many moisturizers since my skin kept getting irritated and burned, even with a small amount. I’ve been using the Juice Beauty moisturizer, when my skin was kinda flaky and itchy with several dry patches. The whole of fruity and botanical blending makes the product have a fresh, lemon-like scent. It really provides calming and relaxing feelings. Moreover, the moisturizer has white, creamy base. But, it doesn’t bring about a thick or heavy sensation at all. When applying the cream, it quickly melts into skin texture without any greasy feelings and leaves a natural translucent. I think the product is also suitable for other skin types, like normal, combination, dry and mature. Actually, the brand has the categories of product lines to address a variety of skin problems for different skin types. 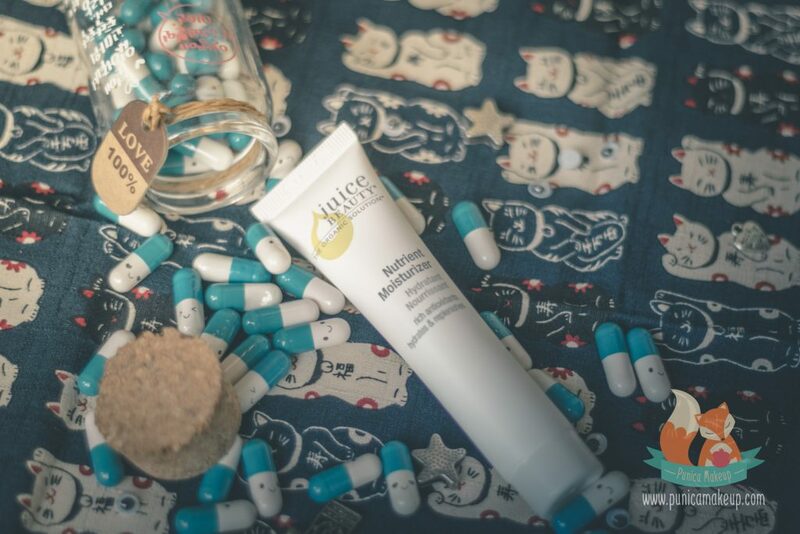 On the first days of using the moisturizer, I fairly felt doubted whether or not it’s really something for sensitive skin. My skin still somehow appeared to be red. I was kind of worry about it. However, I tried to use a little bit at first with some day gap. A week later, there might be a little bit redness when applying; but then, it was gone after a few seconds. Also, my skin peeling, dry patches, itchiness and even tiny pimples on my cheeks gradually reduced. That’s really incredible! My skin might need time to adapt to the cream absorption. Furthermore, I think the moisturizer might be perfect to apply beneath makeup layers. It doesn’t cause my foundation and eyeshadow powders to mess up or smudge at all. It makes my skin feel smooth and supple. For the packing, The product frankly has a simple design, a white, matte complete. There are a noticeable “Juice Beauty” brand and the product description. You can get Juice Beauty – Nutrient Moisturizer, 2 fl. oz via Amazon. I don’t know why but I surely obsess with it. I think all of fantastic things and satisfaction that the moisturizer provides deserve with the price. So, I give it 8 out of 10. This is just my personal opinions for Nutrient Moisturizer of Juice Beauty. I hope you enjoy it. If you have any questions and ideas about it, please let me know. Thank you so much for your reading and support! I have yet to try this product. Yet, I love organic products. I have to check at my local natural foods grocer. Sounds great I’m using it. And it’s really good. Give it a try and any chances, hope you come back to share with us about your feelings with it. Thank you a lot.